Final Fantasy XV had a lot of great moments, but failed to deliver on its key features by the end of the game. The long-term life of the game needs to have a focus on making Final Fantasy XV‘s true heart stronger, but so far it looks like it might struggle, fumbling the idea of what Final Fantasy XV actually should be. Look, Final Fantasy XV is mostly a good game. When it gets it right, it provides a unique experience like no other game. The main issue I had with the game is that ultimately it dropped the ball on its super strong opening gambit of relationship-driven open world exploration. So far, the season pass doesn’t seem to be addressing this. To be honest, reinstalling the game to try the new patches and DLC after initially putting the game down felt like flirting with heartbreak. 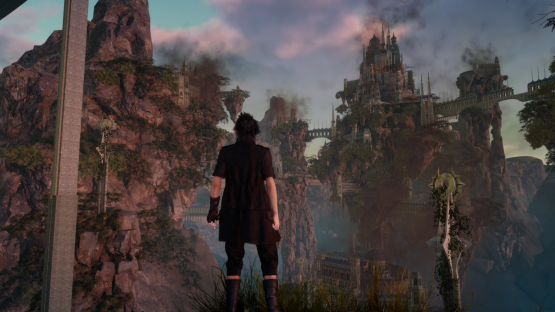 I shared some special times with Final Fantasy XV, but the prospect of opening up once more, when I could just end up getting hurt again, was a tough one. In the end, I didn’t hate Episode Gladiolus. But it was a far cry from what I really loved about that first half of Final Fantasy XV. The next upcoming two pieces of DLC also focus on one character each, which is a concern. How to expand an open world game isn’t an issue exclusive to Final Fantasy XV. It’s a mountain that The Legend of Zelda: Breath of the Wild will have to climb soon too. Most successful attempts seem to add expansive, though more limited, extra maps to the game — such as in Fallout. 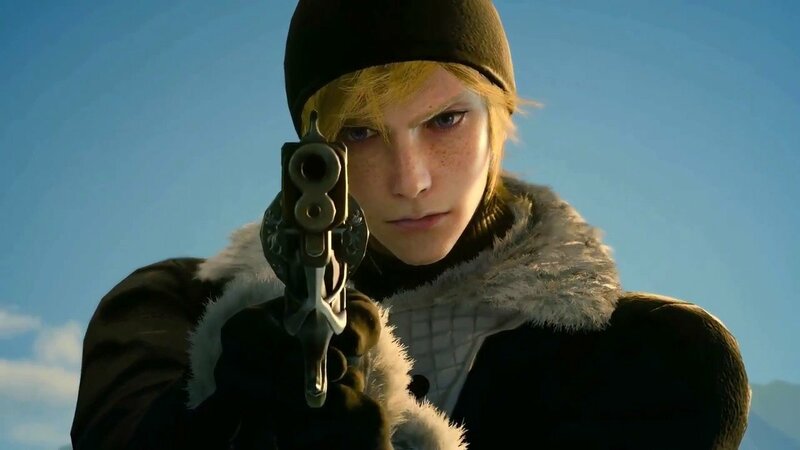 The trailer for Episode Prompto might be pretty intense, but it doesn’t get me as rough and rowdy as this boundary breaking look at the unfinished land of Niflheim. I mean, just look at the world of Eos. Look at those possibilities. 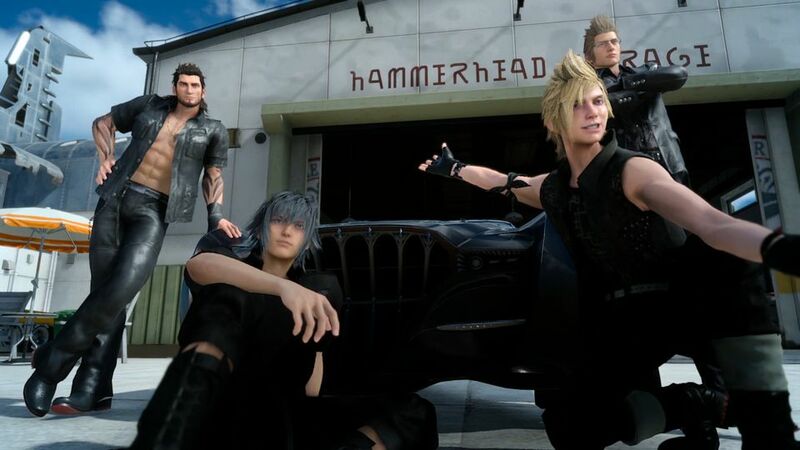 That’s the promise Final Fantasy XV was making — of the open road, of a stag-party-gone-horribly-wrong road trip. Not singular, short character pieces that focus on the game’s more ropey mechanics. The latter half of the game showcases some stunning vistas… as you whizz by unable to explore. The desert wasteland; the beautiful Tenebrae; the bizarre tundras in Shiva’s domain. Give me one DLC each fleshing out just those 3 locations, over these character-based DLCs any day. Tenebrae, only seen briefly in the distance as you walk on by. Which isn’t to say there isn’t still hope. Given Prompto’s backstory and the snowy trailer we could be seeing more Niflheim in Episode Prompto. The Tempering Grounds’ canyon in Episode Gladiolus does, granted, look quite pretty at times. But, in the end it’s just a series of corridors, and doesn’t connect to the main game. 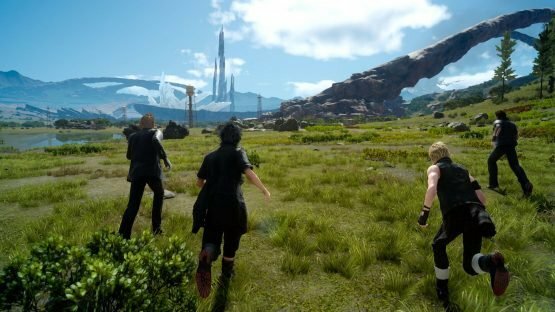 It seems likely that Episode Prompto and Episode Ignis will go in the same direction. 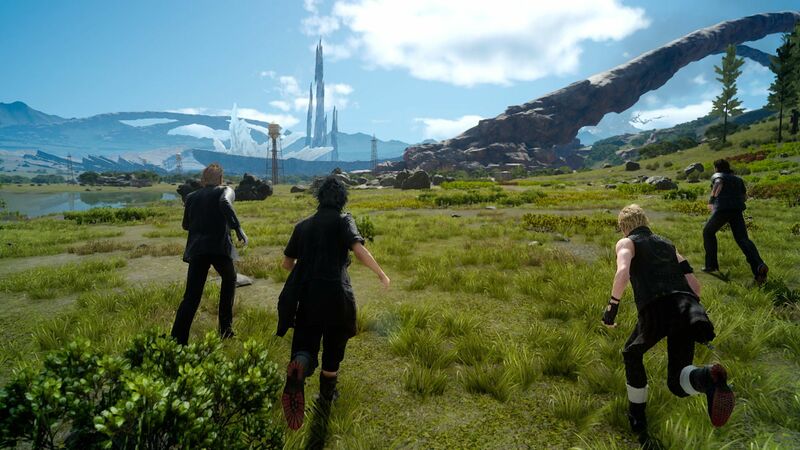 In various ways Final Fantasy XV feels outclassed by the competition that surrounded and followed its release — Nier Automata in making a more hack and slash feeling JRPG; The Legend of Zelda: Breath of the Wild in a new-feeling, open world game; and Persona 5 in all-around JRPG polish. But these shouldn’t be directly compared to Final Fantasy XV. The first half of the game does offer something truly unique that the others don’t have. Until it doesn’t. Patches and DLC are appreciated, but they seem to be missing the mark on what it is about Final Fantasy XV that people loved. It should be about beautiful boys exploring and having fun, shared adventures along the way; not one boy at a time having harrowing experiences. 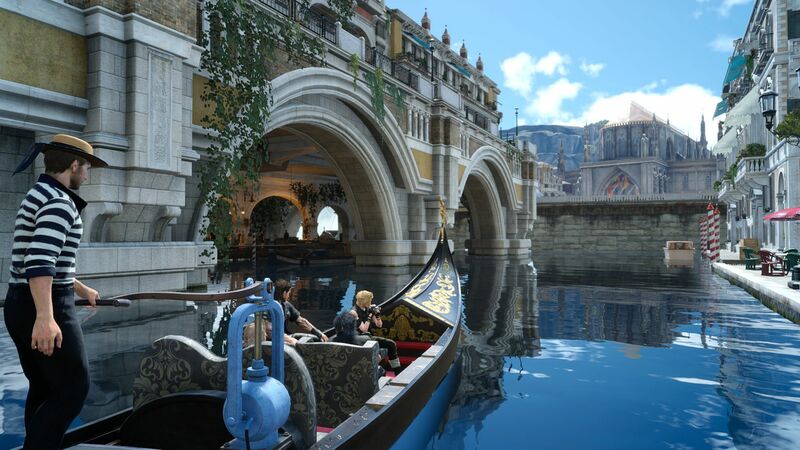 Final Fantasy XV needs expansion from its DLC, it needs to build on the joy of exploration that stole everyone’s hearts in the first half of the main game. Just adding small anecdotes that rely on the game’s less successful element might be extending its life, but not enriching it. Focusing the DLC of a game based around a group journey on individuals might not have been the best idea. Run free, my beautiful boys.